HMS Vanguard was an English 74 gun ship of the line that was launched at Deptford in 1787. She belonged to the Arrogant Class type of 74 gun ship. 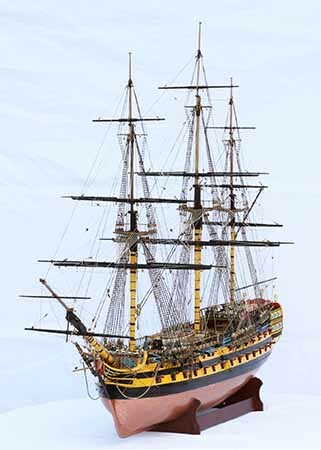 She was Admiral Nelson's flagship at the Battle of the Nile on 1 August 1798, when he defeated the French Mediterranean fleet. There is a fine article in Wikipedia about HMS Vanguard and her role in that battle. This model of HMS Vanguard is a very beautiful piece of work, showing many details of hull and rigging. It is an elegant ship model. 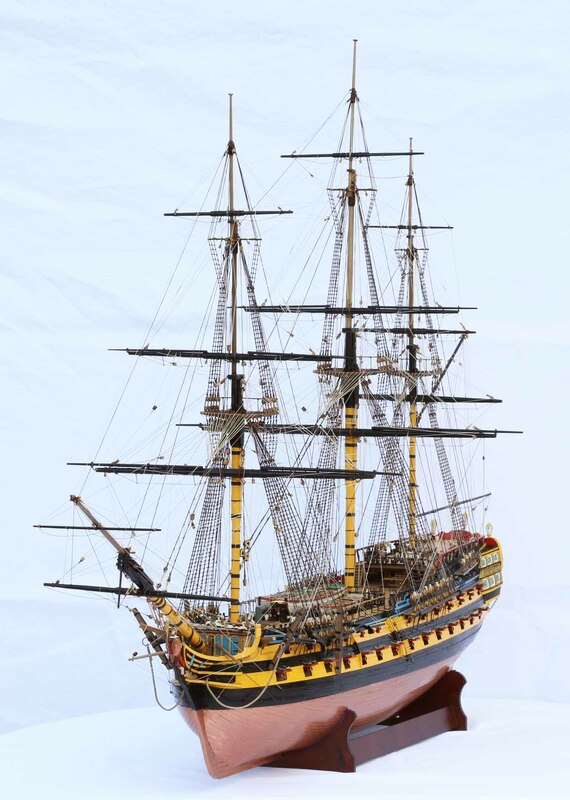 It was built without sails to allow for a better view on the very detailed, impressive rigging. 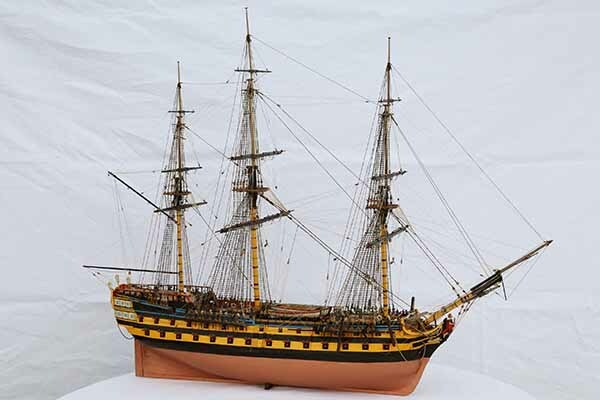 The ship model is 1 : 72 scale. Length is 117 cm, width 50 cm, height 92 cm. 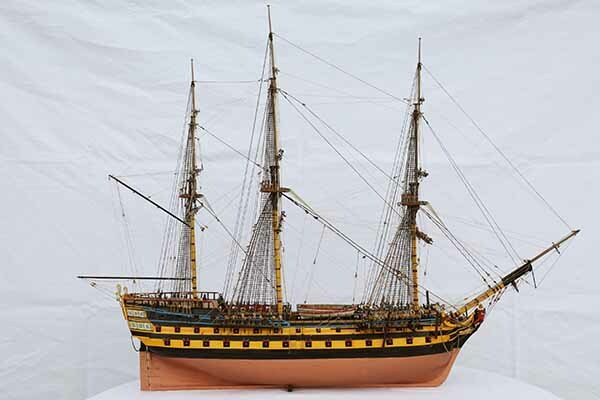 The ship can be taken out of the stand, i.e. 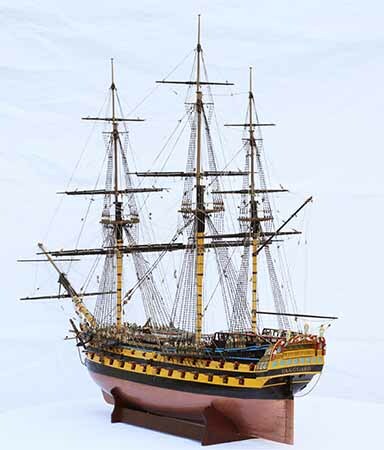 for transport, or to place it just on a flat surface, stabilized by two tiny wedges, like this model of the Royal Louis (see the two photos below).